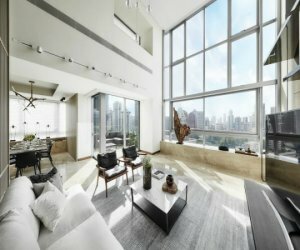 Located at the south of Cheras, Malaysia, Twin Palms Sungai Long is one of the most coveted luxury developments in Malaysia. 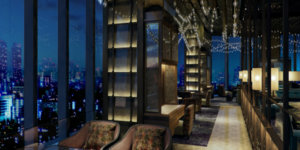 For seven decades, acclaimed developer Lum Chang has created many dream homes. 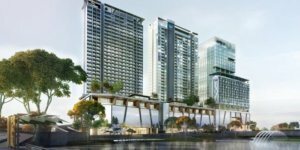 Its latest project is nothing short of exceptional – Twin Palms Sungai Long. Located at the south of Cheras, Malaysia, this area has seen a rise in the number of shopping centres and retail outlets, particularly as the Malaysian economy continued its strong growth momentum in 2017. In 2007, it began constructing its first five phases comprising of 300 plus landed units. 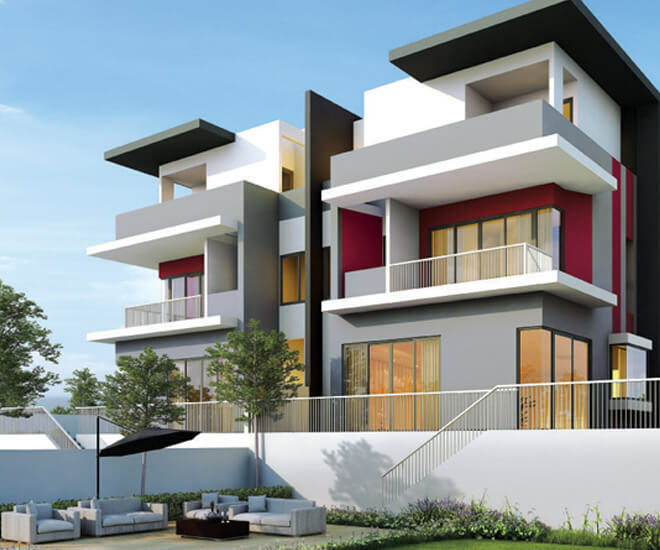 Now, Twin Palms is moving forward with its next two phases (a combination of semi-detached and bungalow units): Westiara and Latania. As those botanically savvy would have realised, these phases are named after two species of palm trees. Indeed, the name Twin Palms itself is an anagram of nine species of palm trees: Tsara, Westiara, Indica, Naria, Palmyra, Areca, Latania, Maya and Sierra. In turn, these also refer to each phase of the project’s launch. 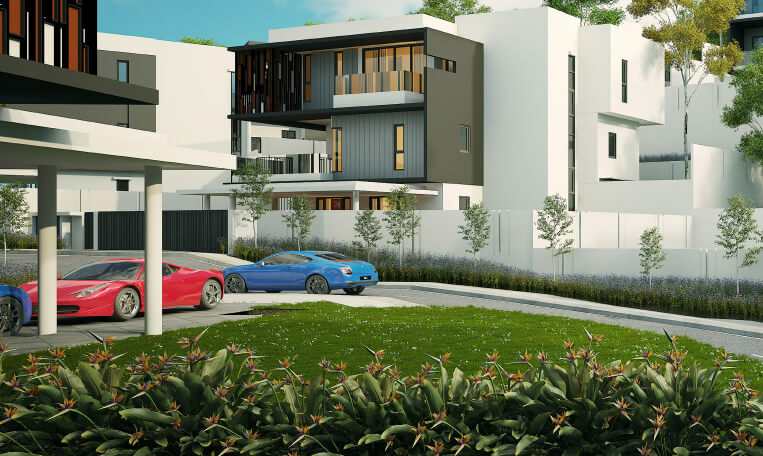 Twin Palms Sungai Long is made up of a collection of landed properties: super-link homes, semi-detached and bungalow homes. At Latania and Westiara, you will find luxurious and elegant semi-detached and bungalow homes built along quiet, tree-lined streets. With three storeys of generous spaces and a large driveway for parking three cars side-by-side, these homes are perfect for multi-generation living. 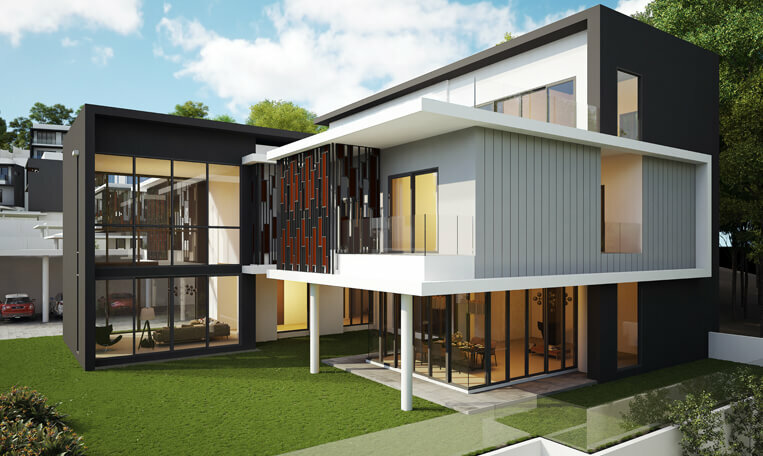 For Latania, these prestigious homes come in built-up options ranging from 3,371 sq ft to 4,017 sq ft. 28 units were launched in May 2017 from a price of RM 1.65 million. Meanwhile, Westiara bungalows will be launched in August 2018, and will feature 19 units ranging from 4,453 sq ft to 10,052 sq ft. Prices start from RM 2.8 million. At first glance, living in a gated community evokes a certain closed, walled-off atmosphere; yet it offers spacious parks and walkways to roam around the estate’s manicured gardens. A well-secured home is a haven for all, especially those with little ones. 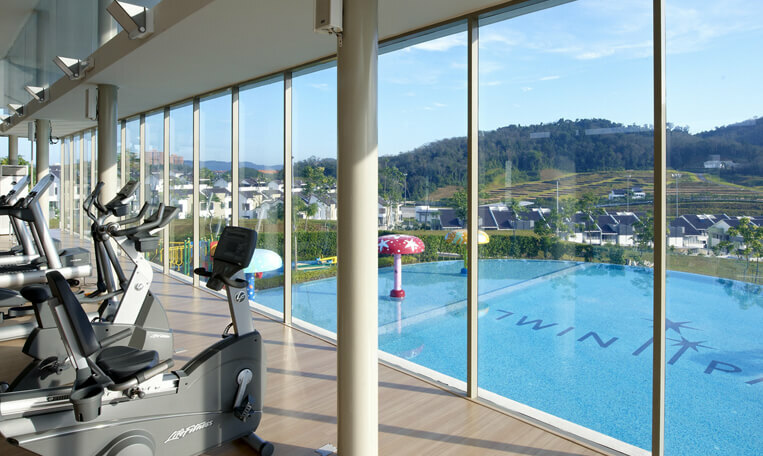 Twin Palms Sungai Long offers strict 24/7 security and surveillance, with perimeter CCTV surrounding the entire development, 24-hour patrolling and access cards required at every entry and exit points. Furthermore, gated communities mean less traffic. With a guardhouse acting as a stop point, and with Jalan Palma being the only road that winds lazily around Twin Palms, visitors and residents alike need not fear vehicles turning recklessly from busy main roads into the quiet neighbourhood. Those with young ones will also benefit from this increased safety and security. Thus, residents are thus able to come home after a long day’s grind to a tranquil and safe domicile to unwind and recharge. Twin Palms aims to create a resort-style living environment for its residents. As a resort home, the estate affords sylvan views of its manicured gardens and tree-lined walkways. There are plenty of benches to allow residents to take in the vistas, or perhaps, enjoy a light jog around the Linear park. For elderly residents, a leisurely walk around the park after dinner beckons. The lush greenery surrounding the park is part of a decade’s work of nurturing the natural landscape around Twin Palms. As an all-encompassing sanctuary, residents are also able to socialise with each other through purposeful events that the management will hold frequently for the community. Such community-based activities will include the Twin Palms Family Day, Scavenger Hunts, Get Together Makan- Makan, Dato’ Joey Yap Feng Shui Talk, Twin Palms Chinese New Year Festivities, etc. For families, having to commute in and out of the estate for work and play scenarios will be a main deciding factor when purchasing a Twin Palm unit. But take heart as the estate is close to SILK highway, Grand Saga Cheras-Kajang Expressway, Lekas Highway, and the upcoming East Klang Valley Expressway (EKVE) due to be completed in September 2019. Driving to town, sending the children to school or going out of the estate for work appointments will be a breeze. One of the merits of living in a gated community is the clubhouse. Twin Palms’ Orinoco Clubhouse offers plenty of features to soak up Vitamin D, unwind, get sporty, and perhaps, get 120 PALACE creative as a family. 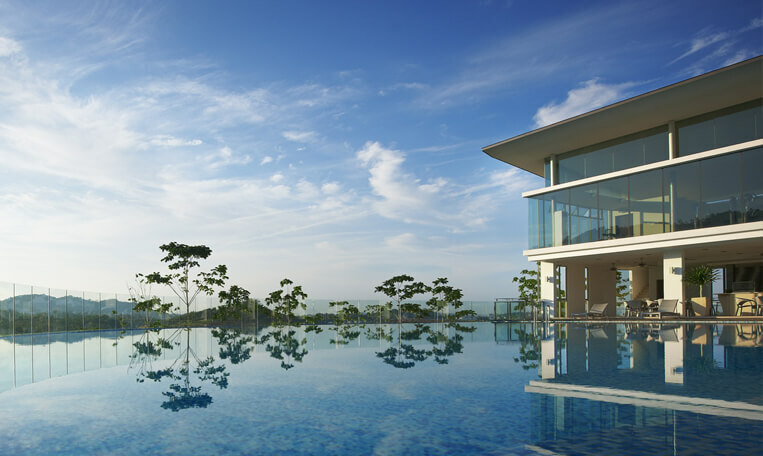 The infinity pool and children’s wading pool will be perfect for families to bond over swimming and other water-based activities. Adults can head to the glass-lined gymnasium to burn calories or just chill with a mocktail at the poolside café. 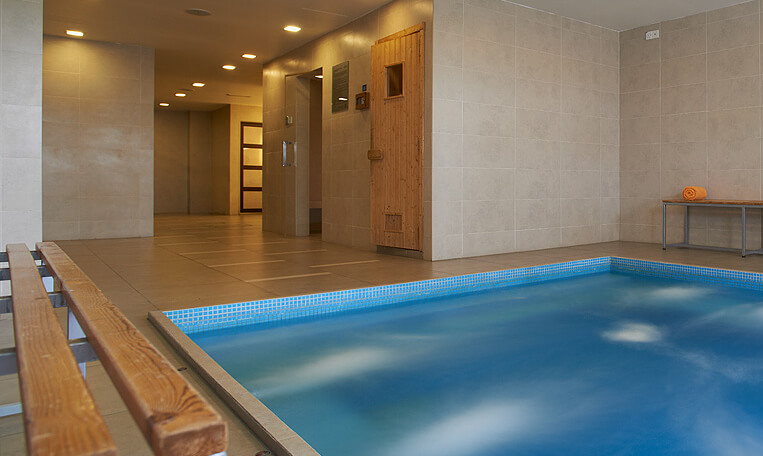 The spa – sauna, steam room and Jacuzzi – is another ideal zone to relax and sweat it out after a hard day’s work. Other features for sporting activities such as badminton, table tennis, and basketball can be enjoyed at the multi-purpose hall. The well-designed children’s playground will ensure tiny tots get their dose of outdoor physical benefits. Twin Palms is a lifestyle proposition that’s geared for individuals, families or couples who desire a resort-style home Roads lined with trees leading into Twin Palms that offers modern amenities for work and play situations. Its lush, open surroundings convey that you’re far away from the hubbub of city life, yet it affords security, comfort and enjoyment, all thanks to its raft of modern living features that the estate boasts.